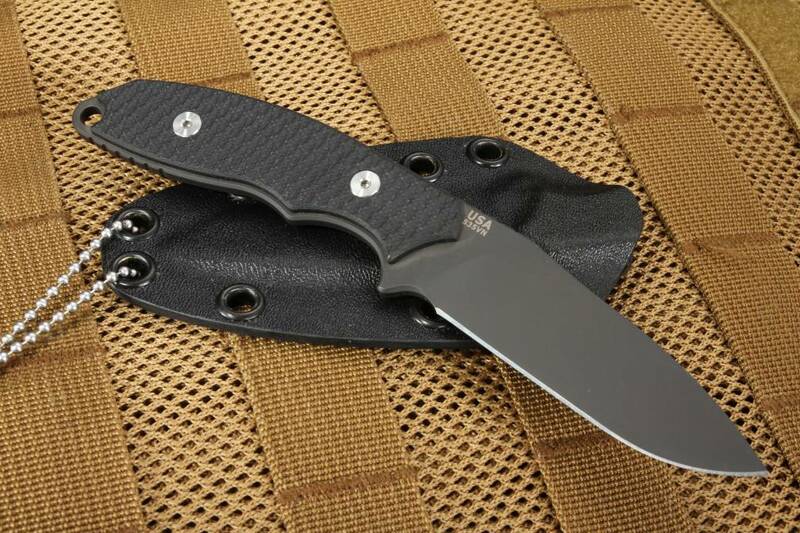 Black on black Hinderer Knives 3" Flashpoint neck knife is blade for covert carry. The blade is American Made CPM S35-VN steel with a black DLC (Diamond Like Coating) finish. The blade has the Hinderer Knives logo laser etched on the face side of the blade. Jimping on the thumb rest of the blade create a positive forward grip. Flat grinds create a tough and reliable cutting edge. The Flashpoint tactical neck knife features a full tang design for strength and balance. 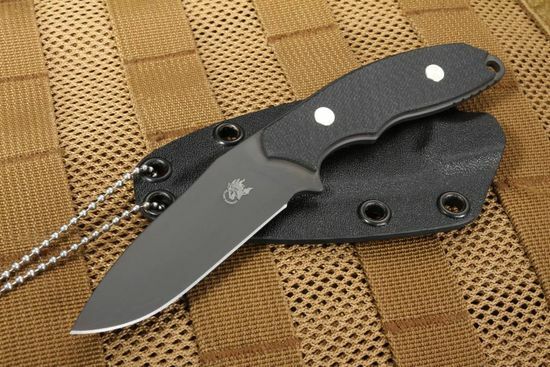 Textured black G-10 handle scales provide excellent grip in wet or dry conditions. Two large stainless steel pins hold the handle scales in place with style. Integral lanyard hole in the rear section of the handle. Black kydex sheath comes with a ball chain necklace that can be adjusted to any length. 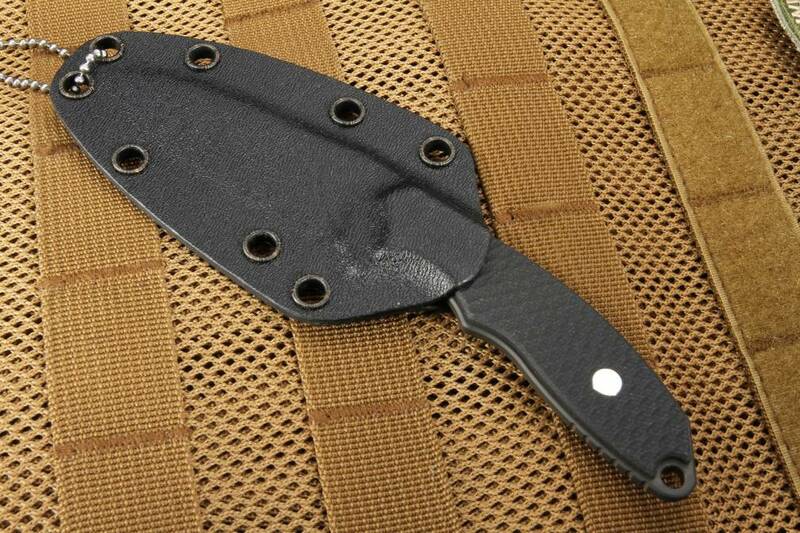 Holes in the sheath enable the knife to be mounted to any vest or pack. Hinderer Knives are made in the U.S.A..